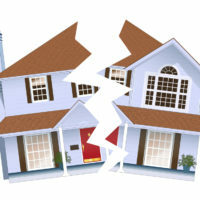 The nature of your relationship to property you owned with your spouse changes after a divorce. By completing the equitable division process, the court separates your interest in a piece of property or other asset from that of your spouse. Even if you still have access to that asset, you’re no longer entitled to make unlimited use of it as you would have been prior to equitable division. This issue frequently arises when one spouse is tasked with selling the home that the couple owned together, often involving the spouse believing that they can continue to live in the home rent-free in the interim. Recently, a former spouse who delayed nearly ten years in listing the marital home for sale, and who failed to make either rent or mortgage payments while occupying the home, was required to pay over $250,000 in reimbursements to his ex-wife for this delay and use. In the case of Pierson v. Pierson, the couple received a judgment of divorce in 2007. The couple had been in and out of court in the intervening ten years, often on matters regarding the home they shared. In 2010, after the wife objected to being involuntarily removed from the marital home, she was awarded half the rental value of the home for as long as the husband lived in it alone until the time that the home was sold. Five years later, the wife returned to court, again seeking the judge’s help in regard to the marital home. By this time, the wife had learned that, not only had the home not been sold nor any amount of rent been paid to her, the husband had not been paying the home’s mortgage in the intervening years. The wife sought the court’s help in making her the sole party responsible for selling the house, establishing a fair rental value for the home and ordering the husband to pay her half of it, and appointing a receiver to collect mortgage payments and oversee the home’s sale. The court appointed an expert to assess the rental value of the home, and awarded half of that rental value to the wife. The court also determined that the husband should no longer be involved in the home’s sale due to his failure to pay the mortgage or take steps to sell the home. Ultimately, the trial court awarded the wife $258,100 in reimbursement of half the home’s rental value during the years that the husband lived in it. In appealing this decision, the husband argued that numerous events outside his control had made the home impossible to sell, including the damage that the home suffered in Hurricane Sandy, repairs that the realtor encouraged the husband to make prior to listing the home, and an infestation of snakes in the home’s basement from a neighboring swamp. The husband also argued that, since his former attorney was being tried for misconduct and ultimately disbarred, he should not be punished for receiving ineffective assistance from his attorney. The Appellate Division acknowledged the delays claimed by the husband in the home’s sale, but found that they did not change the assessed rental value of the home, nor were they sufficient “to justify plaintiff’s failure to pay the mortgage on the home while he continued to occupy it.” The Appellate Division noted that the husband’s delay caused the value of the home to plummet, justifying the court’s decision to bar him from being involved further in the home’s sale. The Appellate Division also pointed out that the husband would need to file a separate claim of malpractice against his former attorney if he believed that he had not been adequately represented. The trial court’s decision was upheld. If you’re in need of capable, professional, and attentive legal help with a divorce or custody dispute in New Jersey, contact the Union family law attorney John B. D’Alessandro for a consultation on your case, at 908-964-0102.